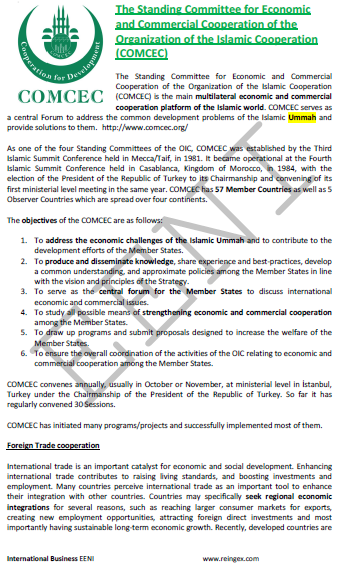 Syllabus of the Online Course (Subject): Standing Committee for Economic and Commercial Cooperation of the Organisation of Islamic Cooperation (COMCEC). Learning materials in (or Comité Coopération économique et commerciale OIC Comité Cooperación Económica Comercial COMCEC Comité Cooperação Económica e comercial). 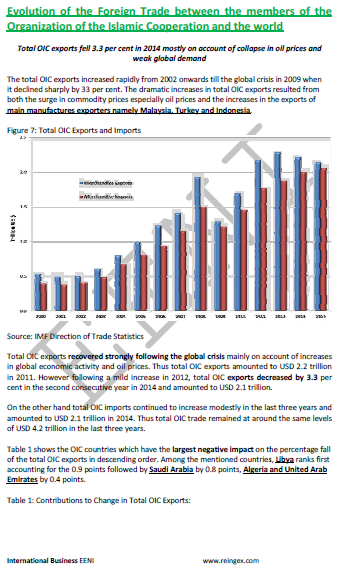 Description of the Online Course: Standing Committee for Economic and Commercial Cooperation of the OIC (COMCEC). The Standing Committee for Economic and Commercial Cooperation belongs to Islamic Civilisation and African Civilisation.